The new 2017 Mercedes Benz GLC boasts legendary engineering that lives up to the luxury promised by the Mercedes-Benz brand. It may come as no surprise for you to learn that the new Mercedes-Benz GLC boasts one mighty engine and a range of impressive driver assistance features to round out your performance experience. Read on for the details, and then get in touch with our finance experts to begin the process of driving home in a Mercedes-Benz GLC. 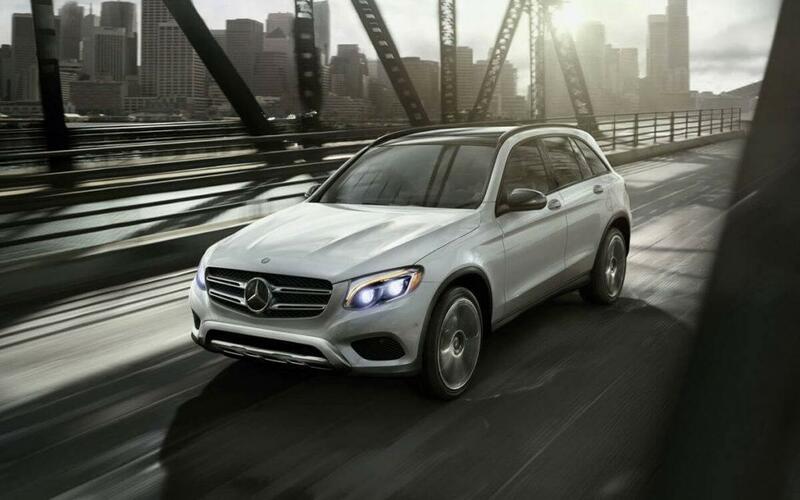 The Mercedes-Benz GLC can accelerate from 0-60 mph in as little as 4.8 seconds! The 4-link suspension system of the new Mercedes-Benz GLC helps keep the ride as responsive as possible, especially when you’re cornering. Moreover, its Air Body Control system helps it self-level on all fours. With 9-speed automatic transmission, the Mercedes-Benz GLC promises consistently augmented levels of control while also helping you get the very best performance specs you can. Customize your driving style of this new Mercedes with a number of particular driving modes: choose from ECO, Comfort, Sport, and more. The 4Matic transmission on the Mercedes-Benz GLC is able to send extra torque to the wheels that need it most, helping you elevate your control on the road — no matter the terrain type and no matter the weather conditions. The new Mercedes-Benz GLC runs on a colossal turbo engine that churns out a wild 241 hp while also achieving 273 lb-ft of torque. Meanwhile, though, the Mercedes-Benz GLC features an ECO Start/Stop system that helps maximize fuel economy, helping you save money over time. And at the upper end, you can look forward to even more herculean power — with its AMG® enhanced 3.0L V6 biturbo engine, the Mercedes-Benz GLC can pound out a massive 362 hp and 384 lb-ft of torque. Find out for yourself what the new Mercedes-Benz GLC has in store for you at Mercedes-Benz of Palm Springs. Get in touch with us using this contact form, and we’ll be sure to get back to you about a test drive as soon as we can.